1 person died and two people were injured in a truck accident in New York early Monday morning. Around 2:20 am, 23 year old Sandhu Simranjeet Singh from Durham, NC was driving a tractor-trailer, heading west on the Cross Bronx Expressway. As he was near the George Washington Bridge he lost control of his truck and slammed into a car. He then fled the scene of the accident leaving behind him 3 critically injured people. The reckless drunk truck driver was later caught by the police near the Vince Lombardi Rest Stop. He was arrested and charged with drunk driving. The 3 occupants of the car had to be pulled out of the mangled vehicle by the emergency responders. They were transported to the hospital. The driver, 25 year old Caeser Contreras, didn’t make it and was pronounced dead at the hospital. The two other passengers who were 28 and 39 years old were in critical condition. A pedestrian was fatally struck by a truck in New York City yesterday afternoon. The 81 year old woman was crossing the intersection of Atlantic Avenue and Rockaway Avenue in Brownsville, Brooklyn, NYC around 3:30 pm. She was in the crosswalk when the driver of a delivery truck which was northbound on Rockaway with a green light when he made a left turn and hit her. She was transported to Brookdale Hospital where she was declared dead. The truck driver stayed at the scene of the accident and wasn’t charged. Read more in the NY Daily News. Two other pedestrians have been injured in accidents previously this year at this intersection. A tractor-trailer truck hit a pick up truck killing 3 of the occupants and injuring 5 other people Tuesday early morning. 51 year old Henry Walker, his 21 year old son Khalil and 3 other workers were driving from Pennsylvannia on their way to a construction job in the Hamptons. As they were driving on the Cross Bronx Expressway near Webster Ave, a tractor-trailer truck stopped abruptly in front of them. Henry Walker who was driving was able to stop just behind the truck. Unfortunately another tractor-trailer just behind them wasn’t able to stop on time. He slammed into the pick up truck killing the dad, the son and one of the workers. 5 other people were injured in the crash. Henry was a contractor from Tonyhanna, PA and his son was a communication student at the University of Pittsburgh at Bradford. He was working with his dad to make extra money to study in Japan. They left behind their devastated mother Sandy Walker. The family had just lost a daughter to diabetes last April. 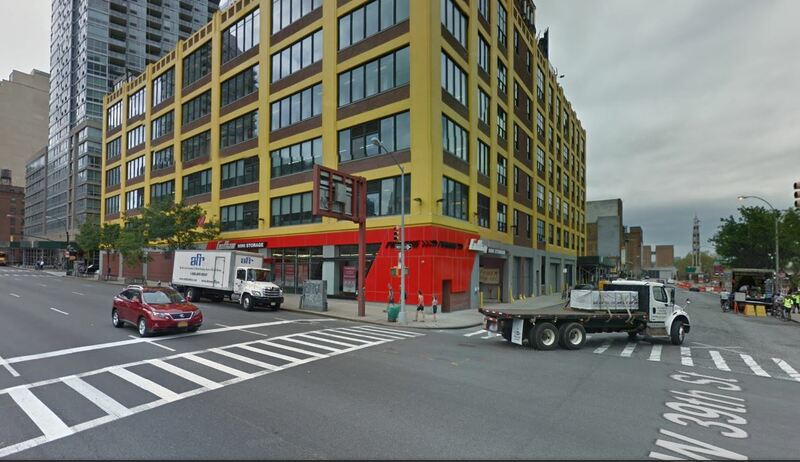 A NYC pedestrian was fatally struck by a dump truck. A bicyclist died after being clipped by a box truck. A pedestrian lost his life after being hit by a car. All 3 accidents occurred in Brooklyn Monday afternoon. 85 year old Rafael Nieves was walking back home from a trip to the supermarket around 1pm in Williamsburg. As he was crossing Grand Street near Lorimer a dump truck ran over him. The driver didn’t even stop. The police located him later on. According to their investigation the truck driver didn’t know he hit someone. Nieves, a Puerto Rican military veteran leaves behind him two children and five grand children. A few hours later, around 4:45 pm, a 70 year old bicyclist died after being hit by a delivery truck. Iosif Plazinsky was riding his bike on Avenue X near Coney Island Ave. The bicyclist was hit twice by the truck. After the first collision he lost balance and fell. Then the truck veered to the right and struck him again. Plazinsky was rushed to the hospital but he couldn’t be saved. The truck driver stayed at the scene of the accident. Plazinsky was a retired construction worker from Odessa. He lived in Brighton Beach with his family. He had 3 grand children and one about to be born. A bicyclist was fatally struck by a cement truck in New York last Thursday. 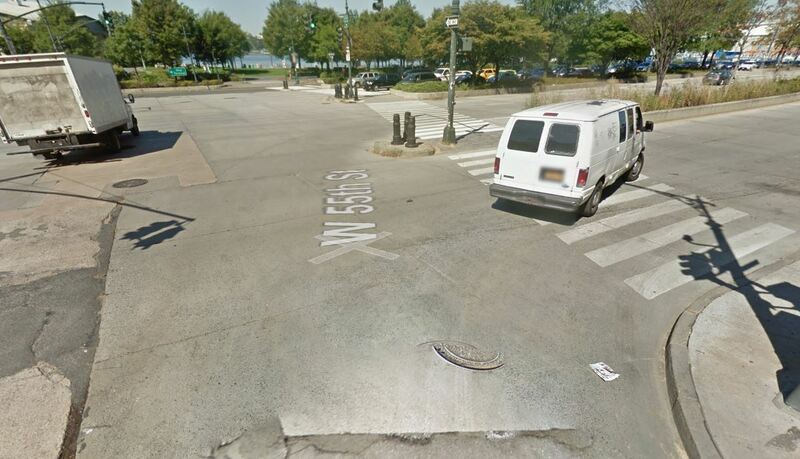 The bicyclist was heading to the Greenway and was in the crosswalk of the West Side Highway at the intersection of West 55th Street. The cement truck was driving west and was making a right turn onto the West Side Highway when it struck the victim. The driver stayed at the scene of the accident. He hasn’t been charged so far. It is not clear yet if he failed to yield to the bicyclist. 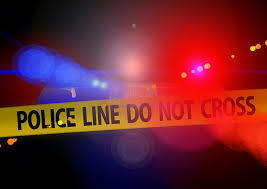 The bicyclist was found by the police unconscious at the scene of the accident with severe head and bodily trauma. According to the Gothamist, so far this year the police recorded 21 crashes at this location with 5 people injured in 3 of them. The previous year there were 20 crashes at this intersection 4 resulting in injury. Among the people injured was another bicyclist who had been struck by a car. A woman was fatally struck by a truck in New York on Friday afternoon. The 57 year old pedestrian was crossing 39th Street and 10th Ave when she was hit by a truck. The truck driver was travelling North on 10th Ave and was making a left turn on 39th street (see picture) when the accident happened. The driver identified as 28 year old Clyburn Rance stayed at the scene of the accident. He was later arrested by the police. He was charged with failure to yield to a pedestrian, failure to exercise due care, and failure to adhere to the highway law. At the beginning of November, a campaign entitled “Dusk and Darkness” was launched in New York City to inform drivers and pedestrians about the increased risk of accidents during fall and winter darkness. During the 3 months following daylight saving time, twilight sets around 4:30 pm in New York City. Between 5:00 pm and 7:00 pm when most commuters are coming out of work, the streets are already dark. 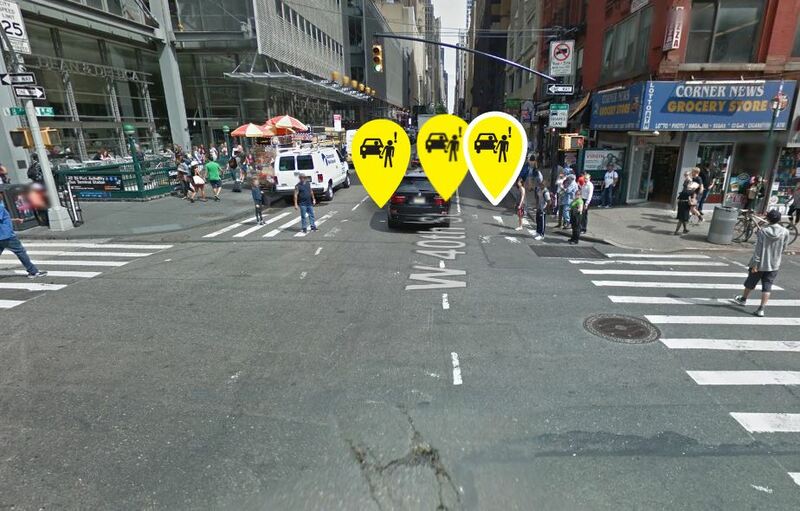 The risk of accidents increases as visibility decreases and a higher number of pedestrians hit the streets of New York City. Recent statistics show that 6 out of 9 pedestrian accidents during the 3 months following daylight saving times occur after sunset. The intersection of 10th Ave and 39th street is extremely busy on Friday around 5:00 pm as it is located next to the entrance to the Lincoln Tunnel to New Jersey. Last week Vision Zero launched a campaign to reduce pedestrian accidents after Daylight Saving Time. Recent statistics have shown that the number of pedestrian fatalities increase by 40% during the 3 months that follow Daylight Saving Time. Poorest visibility related to earlier darkness when most New Yorkers are still outside increases the risk of accidents. Truck accidents are on a trending rise in New York City. Last July they reached a record number of 805. It was the first time ever that the number of monthly truck accidents in New York City was over 800. In the US, 4067 people died in truck accidents in 2015 compared to 3903 in 2014 and 3380 in 2009. Over 6 years the number of fatal truck accidents increased by 20%. From 2009 to 2015, injuries related to truck accidents increased by 50% from 74,000 to 111,0000. Truck crashes were also on the rise during the same period. They increased from 286,000 to 411,000 between 2009 and 2014. Truck drivers are working long hours and are often pressured to deliver their load on a tight schedule. They often drive above the legal speed limit exposing themselves and other road users to dangerous accidents. According to the NHTSB, speeding, distraction and impairment are the three main factors in truck accidents. A bicyclist suffered critical injury after being struck by a tractor trailer truck in New York City. The accident happened yesterday morning around 7:15 am at the intersection of Jay Street and Tillary Street in Brooklyn. 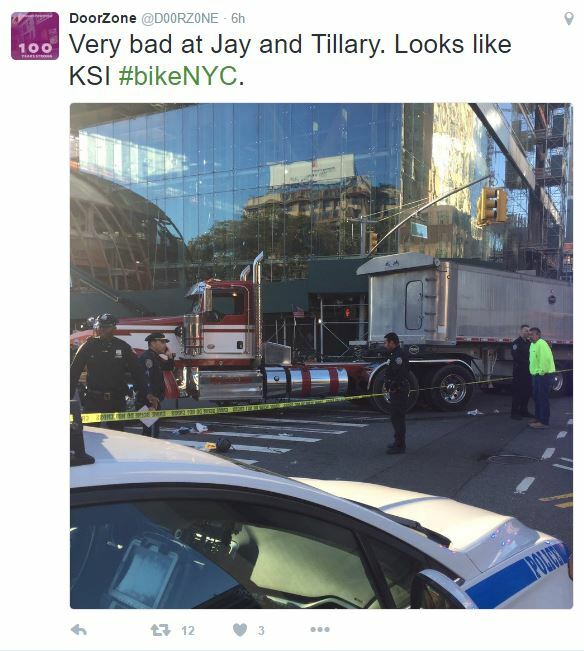 According to Streetblog the truck struck the bicyclist while making a right from Jay onto Tillary. The victim, a 35 year old man, got stuck under the truck. His left leg was completely mangled and he suffered massive head trauma according to the NY Daily News. He was transported to the hospital in critical condition. The truck driver stayed at the scene of the accident and hasn’t been charged. The truck was a tractor trailer truck belonging to Mountain Man Sand and Gravel. The truck was on an authorized truck road however it was larger than 55 feet long. 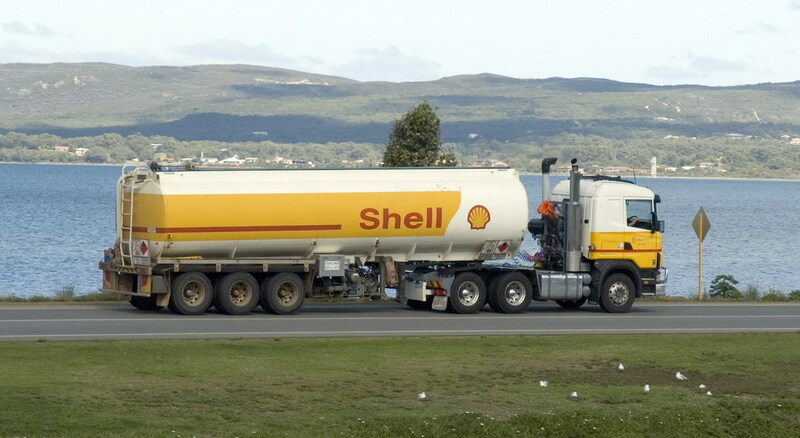 Trucks larger than 55 feet long are only allowed in New York City if they transport material that is “non-divisible” and have special authorization. In the case of this accident, the Gothamist indicates that the truck was a Mac trailer Dump truck. There is a high probability that the truck was not legally authorized to drive where the accident happened. This is the second time this year that a bicyclist has been struck by an over-sized truck driving in a pedestrians and bicyclists area. In April, a cyclist died after being struck by a tractor trailer truck which was illegally driving in a Brooklyn residential area (see previous blog). Jay Street is considered one of the most dangerous streets for bicyclists in New York City. Recently, the DOT started to remodel the street and add protected bike lanes. However at the intersection of Jay and Tillary protective bike lanes are still nonexistent. Since the beginning of the year, 3 people were injured in bicycle accidents at this intersection according to Vision Zero Map. Also according to data from Transportation Alternatives there were 41 pedestrian and bicyclist accidents at this location between 2002 and 2011. A bicyclist may need a leg amputation after he was struck by a truck in New York. The 30 year old man was riding his bike South on 8th Ave in Manhattan, NYC, around 3:30 am Friday. As he crossed West 40th Street, a commercial truck slammed into him. The truck driver didn’t stop. He just continued on his way. The cyclist was left bleeding in the middle of the street. A witness working at a nearby Duane Reade saw the accident. He told the NY Daily News that the truck was speeding when he hit the victim. The man was transported by ambulance to the hospital. He suffered serious head and leg injuries. His leg may be amputated. The police are still looking for the hit and run driver. Previously several people reported on the Vision Zero Input map that vehicles were failing to yield at this specific location. So far 4 people were injured in 2016 at the intersection of 8th Ave and 40th Street.